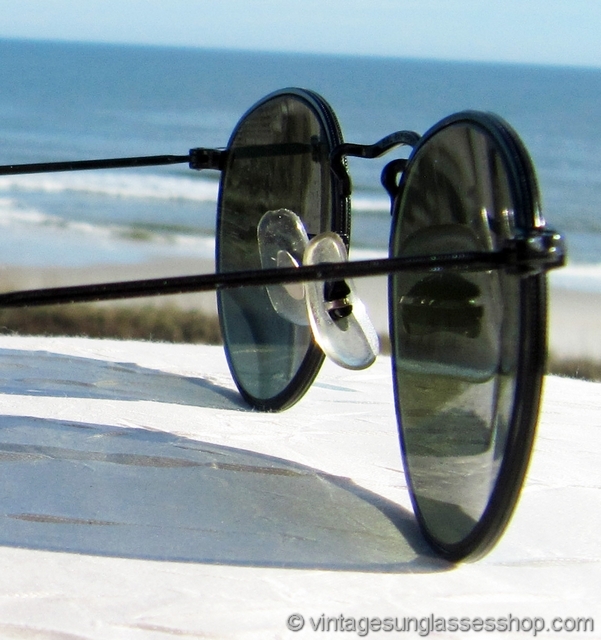 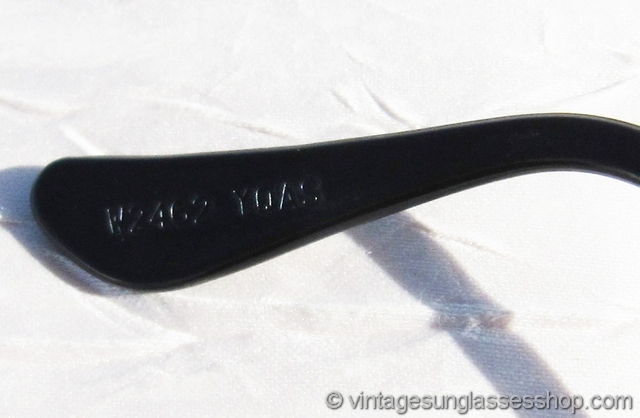 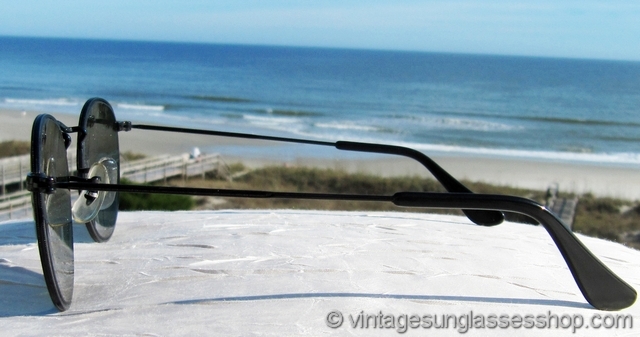 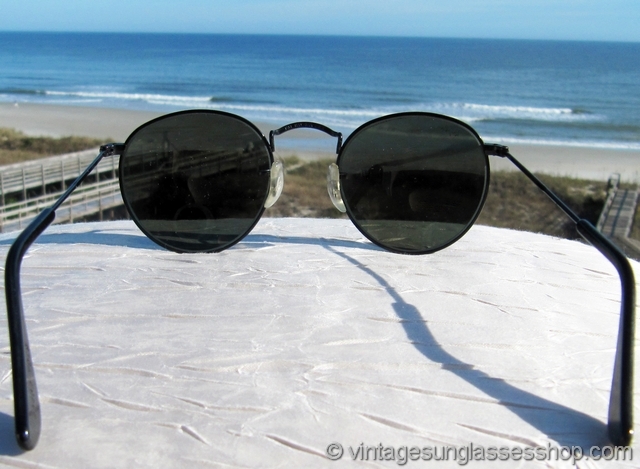 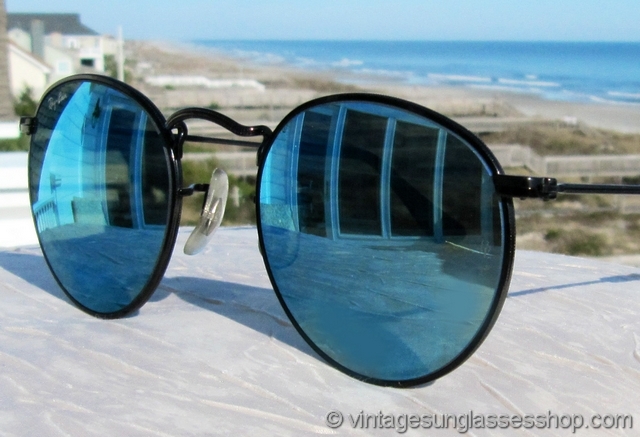 1 Vintage Ray-Ban W2462 Classic Metals sunglasses were made in only very small quantities in this variation of black chrome frame with its distinctive pinpoint etching and Bausch & Lomb round blue mirror lenses. 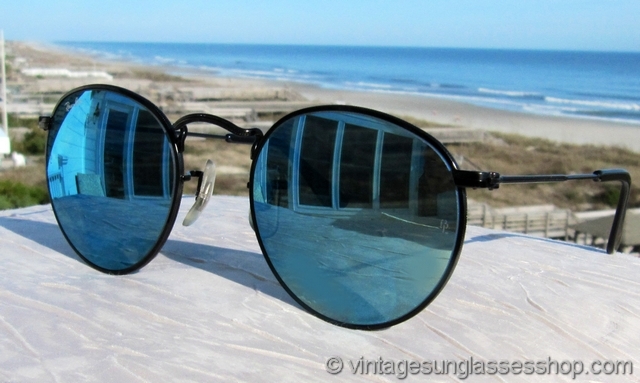 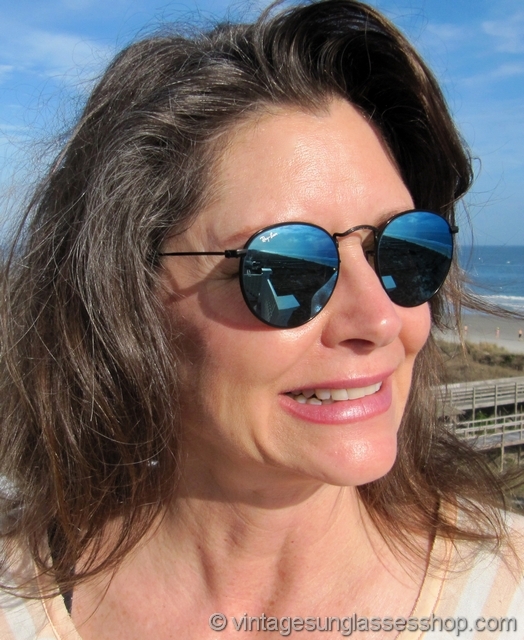 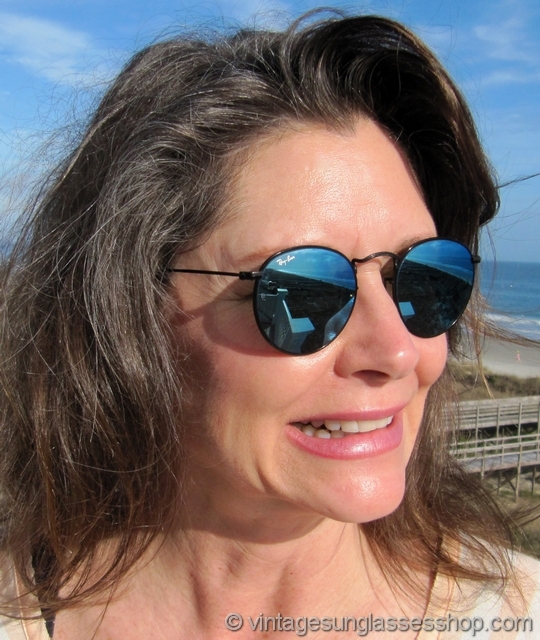 The black chrome finish is permanently bonded to the frame via a patented Bausch & Lomb chemical process and really looks great with these highly reflective blue mirror lenses. 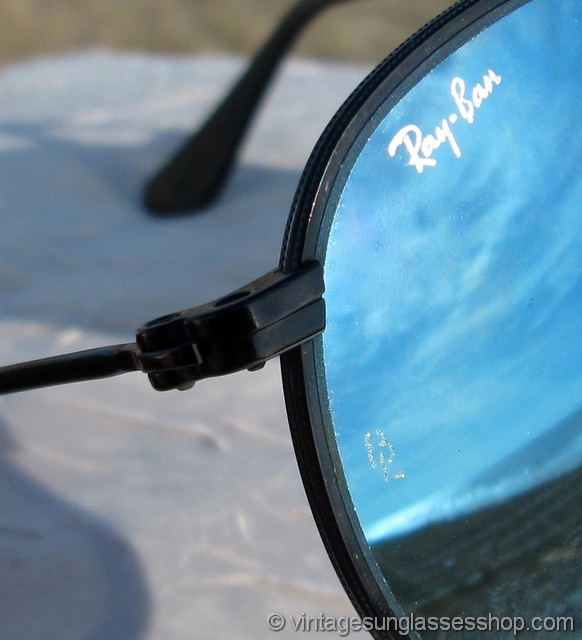 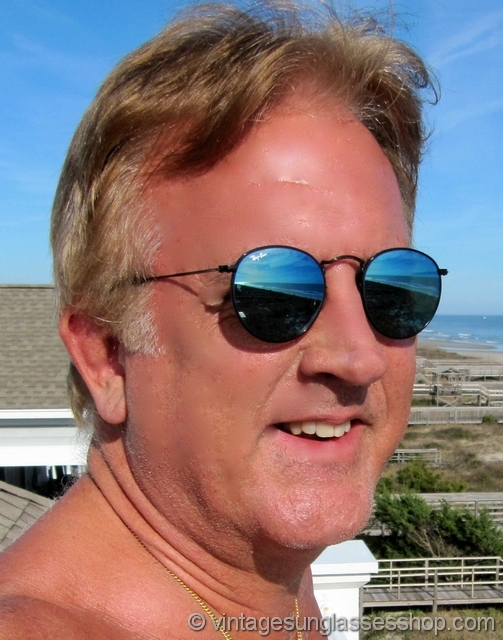 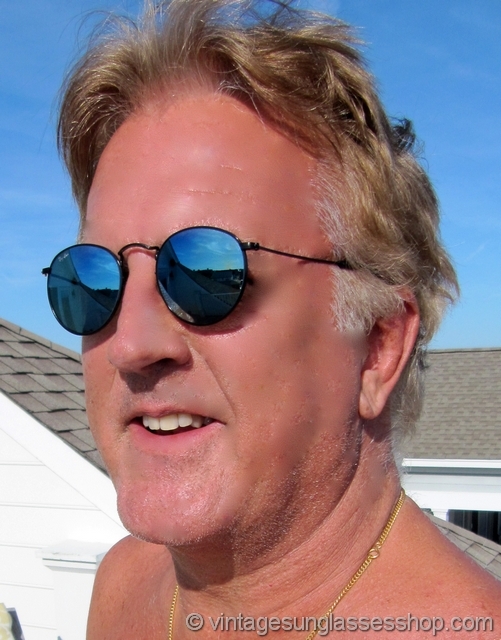 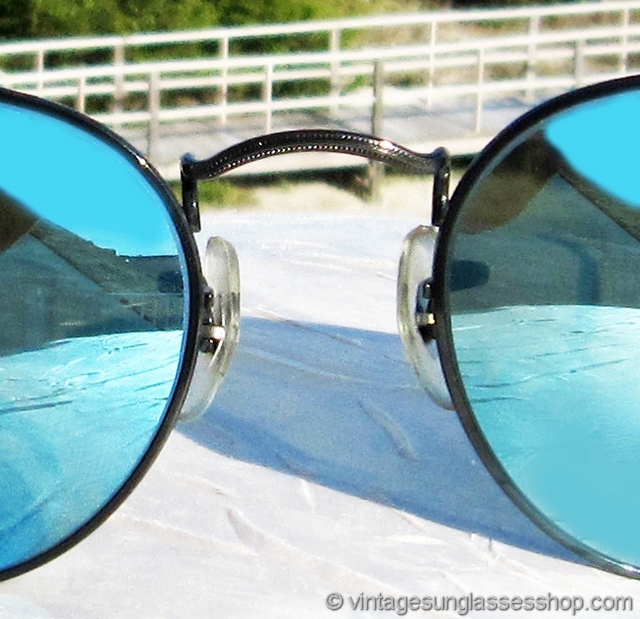 The Bausch & Lomb blue mirror lenses measure approximately 1.75" x 1.675" at the widest points with right lens laser etched Ray-Ban and both lenses laser etched BL near the hinges. 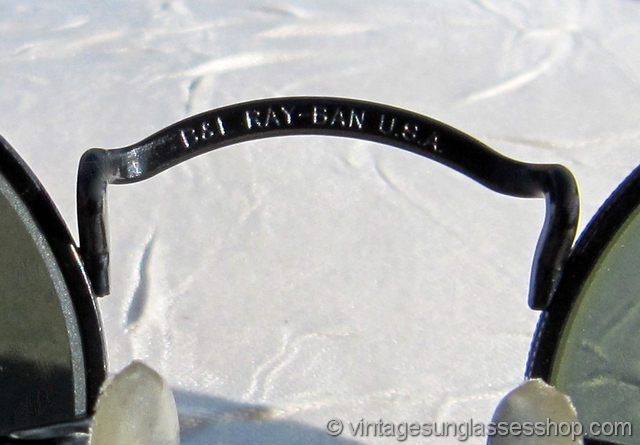 The unisex Ray-Ban W2462 Classic Metals frame measures approximately 5.0" temple to temple, and the rear of the nose bridge is impressed B&L Ray-Ban USA and one ear pad is impressed W2462 YQAS, part of a major Ray-Ban collection in Boca Raton, Florida. 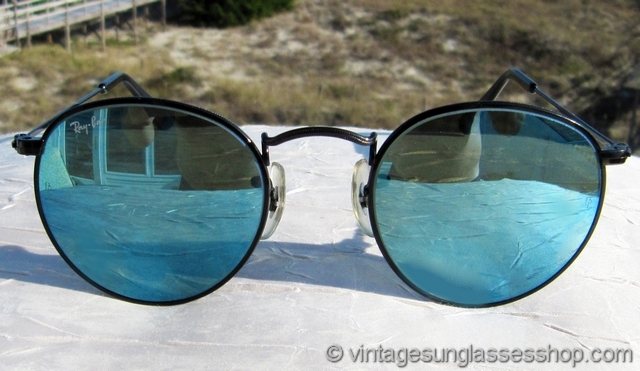 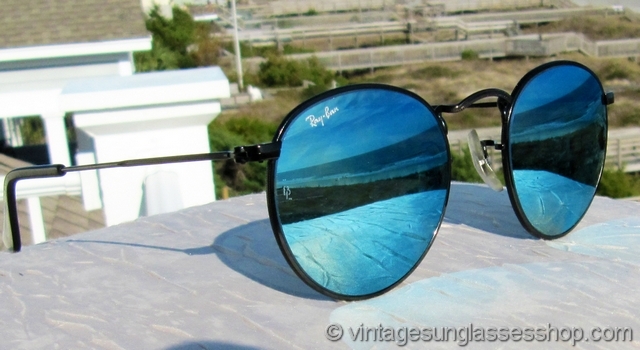 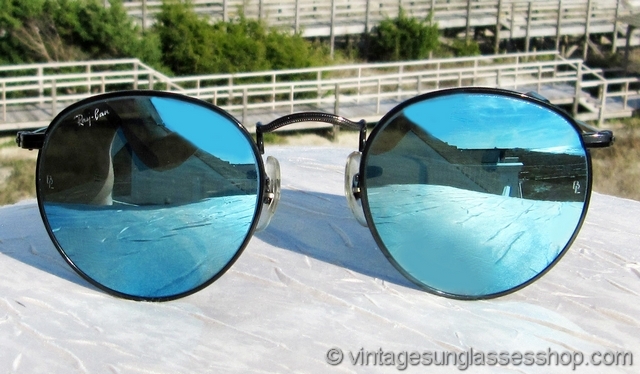 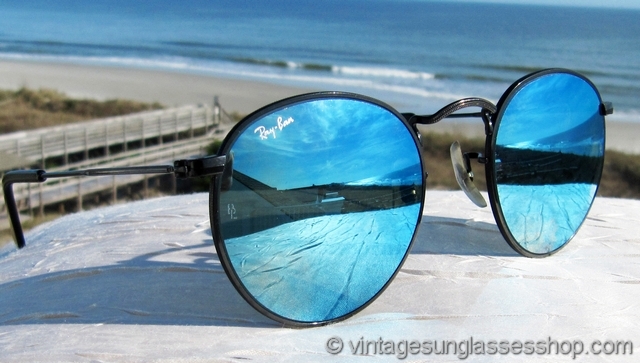 2 Step up another level beyond our already unequaled vintage condition standards with new old stock Ray-Ban W2462 Classic Metals blue mirror sunglasses in mint, unworn condition.